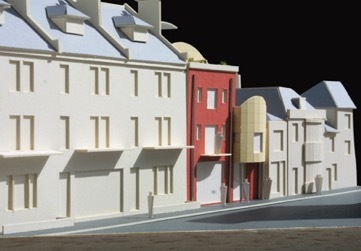 A design scheme which proposed the removal of a vacant hairdressers shop, and replacement with seven flats and a shop in Southgate Street, one of Winchester's most prominent and challenging locations. A key feature was the employment of roof gardens to bring interest to the street and provide some outside space for the flats. Through the use of curved zinc roof forms, it was possible to orient the building at high level towards the West with views across the ancient heart of the city. Stunning vistas of the Cathedral would also have been available from the flats and rear roof gardens. 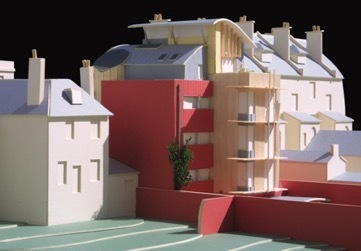 The scheme was successful at planning, and the new owners of the site are moving towards construction.